Catherine L. Hofmann moved to Orange County in the early 1950's and found no liberal church to attend. She was a minister's daughter. 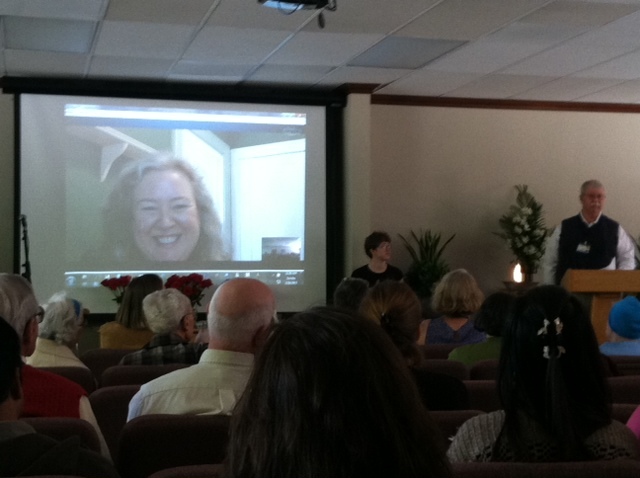 She enlisted the help of Dr. Charles Blauvelt, the Universalist pastor in Pasadena. Together, they made a list of people in the area who had received Universalist mailings, and invited them to meet on Sunday mornings. In 1953, the group was too big for her living room. A meeting was called in February at an American Legion Hall to consider the official founding of a Universalist Fellowship. The Legion Hall, shared with a Lutheran congregation, became the Fellowship's home. Rev. G. Douglas Frazier, Minister-at-Large of the California Universalist Association, worked with the group that year, and in the spring a Religious Education program began for all children. In November, an official minister was hired, Dr. Frederick W. Ringe, with his wife, Bess, who served as Music Director. 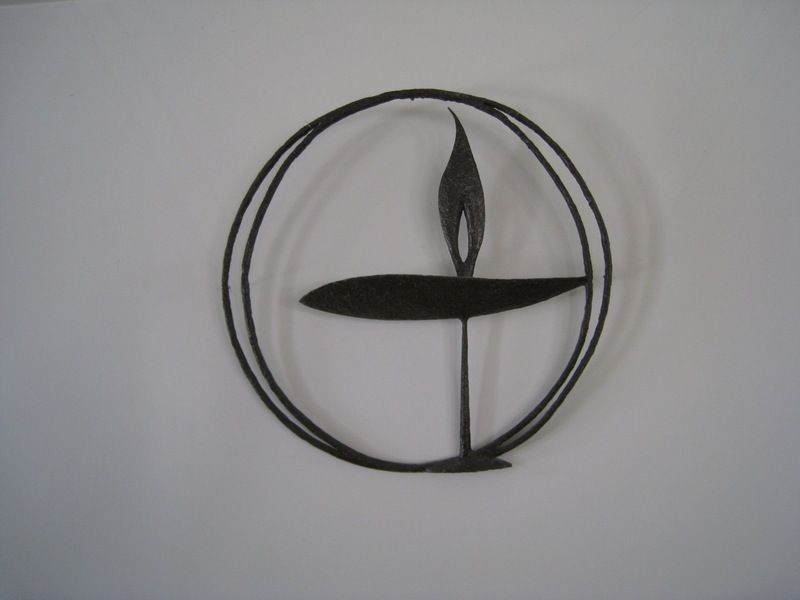 In nearby Santa Ana, a group of Unitarians were trying to establish a church, with a group of women called the Women's Liberal Religious Alliance. 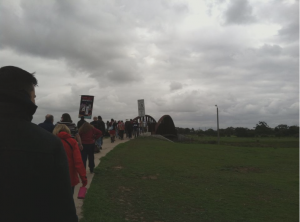 Some of those families began to attend the Universalist meetings. Money for a building fund began to be accumulated, and in 1954, the Women's Liberal Religious Alliance contributed their $600 treasury to the project. A handsome hilltop site in Costa Mesa was selected. The building was designed by James Webb, a member of the group. The unconventional shape drew much local attention. While the church was being built, the congregation met for a time at the Balboa Bay Club in Newport Beach. 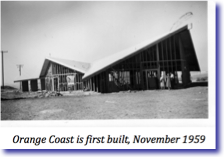 The first meeting in the new building was held on Sunday, March 6, 1960. The presiding minister was Rev. Charles Blauvelt, now retired and a new resident in the Newport area. He urged everyone to bring coats, as the interior was far from finished. Many brought their own folding chairs. 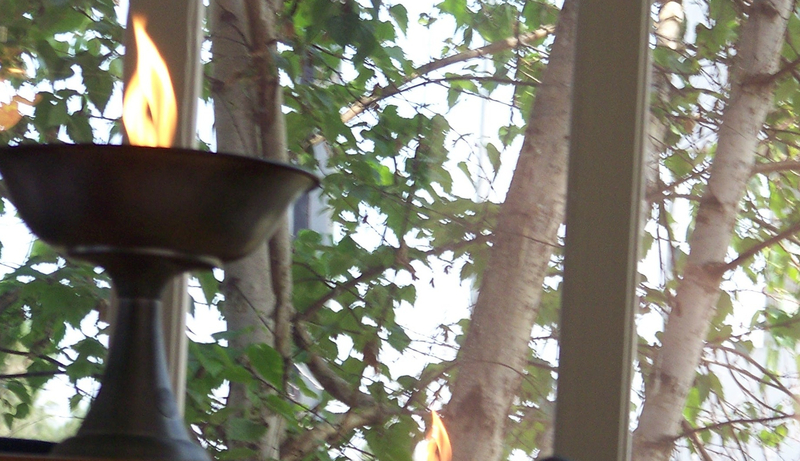 That year, in Boston, the decision was made to combine the Unitarians and the Universalists. This church voted to exercise its option, and retain the name of The Universalist Community Fellowship. A family named Willits gifted the church with a Steinway grand piano. In 1962, a Mrs. Montangue formed a Children's Choir to perform at Easter and Christmas. 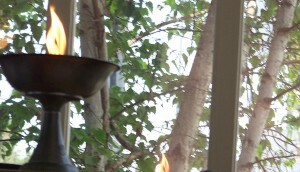 A Women's Alliance was formed, and purchased handsome new light fixtures for the Sanctuary. The 1960 records show 87 members, 57 "friends", and 105 children. In 1965 The Rev. Roger T. Walke accepted the ministry of what was still called the Universalist Community Fellowship, although more often, the connected name Unitarian Universalist Church was being used. He organized a drive to buy new hymnals in 1966, and approved changing the name of the lively church newsletter to "The Reach". Rev. Walke resigned in 1971, and the group continued as a Fellowship. Rev. Arthur W. Olsen of the Minister-at-Large program served as a special Interim Minister to the church in 1972. He organized a fruitful fundraising drive, and guided the search for a new minister. Rev. Robert Jordan Ross was hired in 1972, and led the church through a period of vigorous growth. A new member, Ms. Mieque Weinstein, was asked to establish a music program. Rev. Chris Schriner joined the staff as Minister of Counseling. Some welcome decorating was done by members of the Women's Group. The lobby, the minister's office, the kitchen and bathrooms were redone. New chairs were purchased for the sanctuary. When Rev. Ross resigned in 1979, the Interim Minister was Rev. Josiah Bartlett , whose name is remembered by the Bartlett Patio, the outdoor gathering spot on the shady North side which he personally helped to create. Built on the "shady side" of the church during Rev. Josiah Bartlett's tenure, this pleasant space houses the coffee hour, receptions, teas and parties. 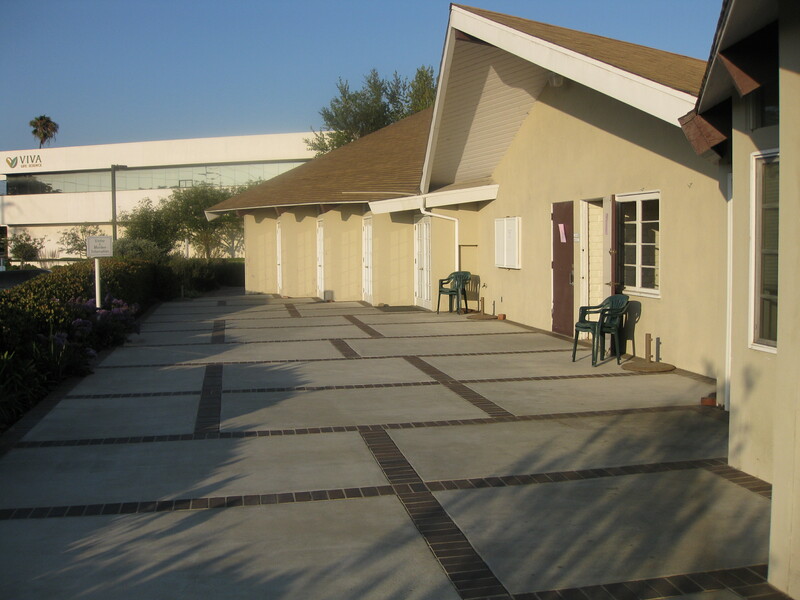 In 2000, the patio was enlarged with new landscaping and the name changed to the Bartlett-Daniels patio in honor of a generous donation. Tracy Boag was the 16-year-old daughter of long time members Wally and Ellen Boag. She had attended Church School, and been a Kindergarten teacher. She died in 1963 after a long and painful illness. Her parents established the Tracy Boag fund in her memory, and many "show business" friends contributed. Wally performed at Disneyland for many years in the "Golden Horseshoe Revue", and produced several benefit performances for the church. The four-room Tracy Boag building bears a plaque in Tracy's name. The Joan Gillan Religious Education Building was named for long-time leader of the R.E. department, and the building was a gift in her memory by the Gillan family. 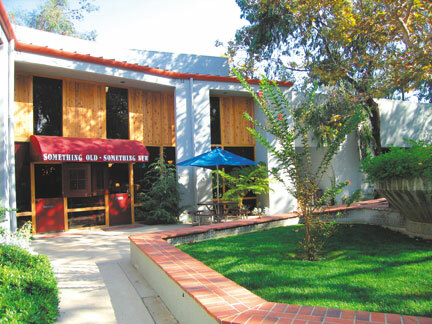 This building, built in 1989, provides three classrooms and space for a variety of meetings. In 1980 the church welcomed Rev. 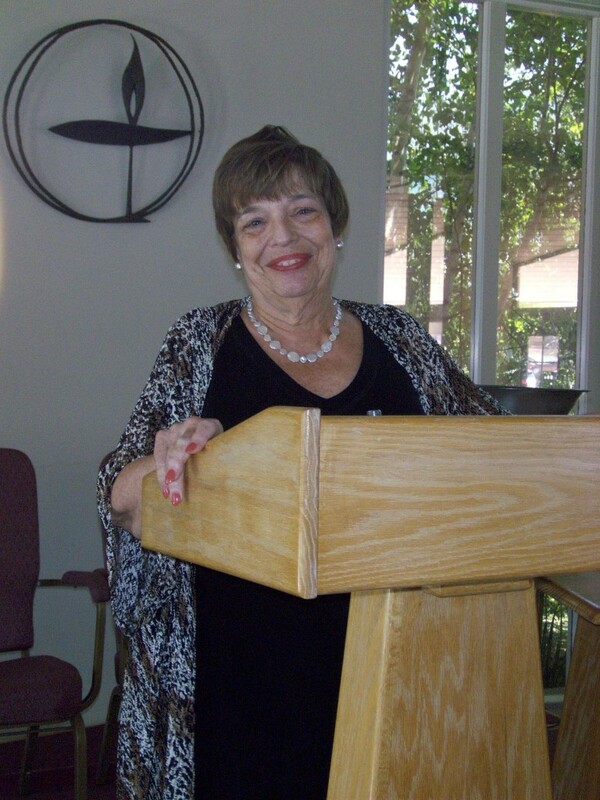 Eileen Karpeles to what was now officially the Orange Coast Unitarian Universalist Church. Rev. 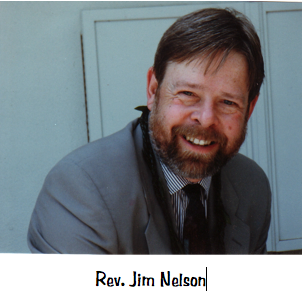 James Nelson became our Minister in 1984. During his years at OCUUC, Rev. Nelson instigated the first major changes to the main church building. The lobby, two offices, the balcony and its storage areas were removed. Seating was rearranged, enlarging the capacity of the sanctuary. In 1989, work began on new kitchen and bathroom facilities, more storage areas and landscaping. Rev. 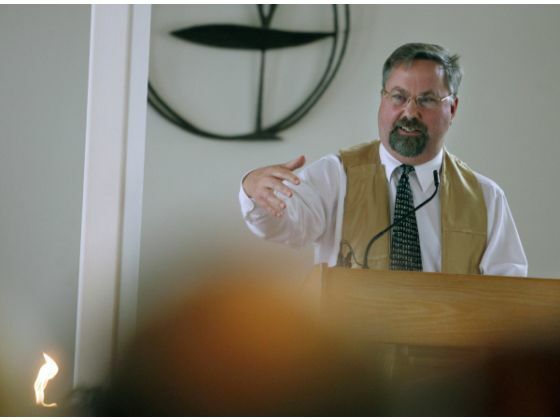 James Nelson was called to serve the UU congregation in Fairfax, Virginia in 1993. Interim Minister Rev. Branford Lovely, retiring pastor of the Neighborhood Church in Pasadena, started later in 1993. In 1994 the congregation called Rev. Diana D. Heath. Ms. Heath resigned early in 1996. The Interim Minister that summer was Rev. Leslie Heyboer. Two small patios on the South side of the church were built during the extensive landscaping in the 90's. 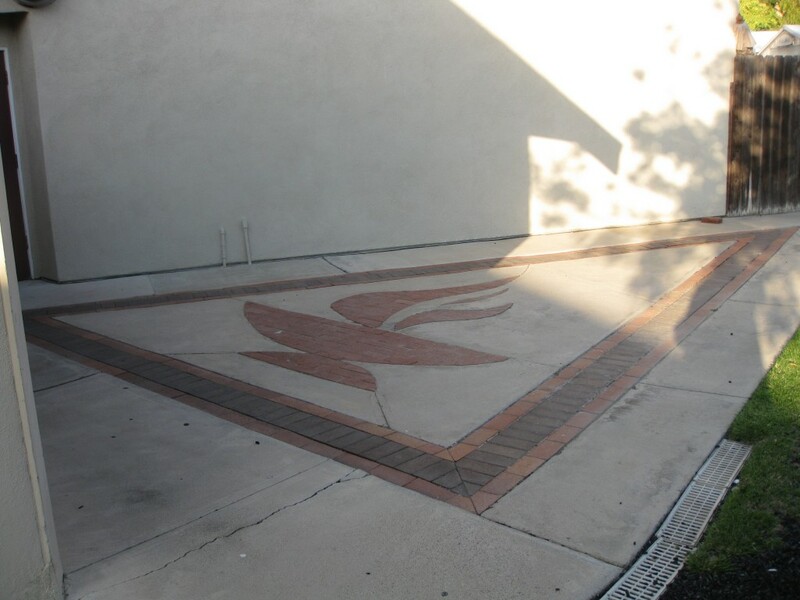 The Davia family provided the stonework for the former "Choir" patio. The fencing and landscaping were the gift of Lee and Carol Agon. 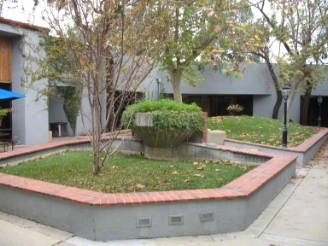 The Chalice patio with its stonework outline, is the gift and work of a longtime member and groundskeeper, Don Skinner. In 1998, the congregation called the Rev. Dr. Karen Stoyanoff to the OCUUC pulpit. Several major changes took place in the church in 2000, including expansion of the Sanctuary seating, a permanent Choir Loft, new decor and furnishings, painting and improvements to the exterior and the patio areas. Rev. Karen retired in the summer of 2011. 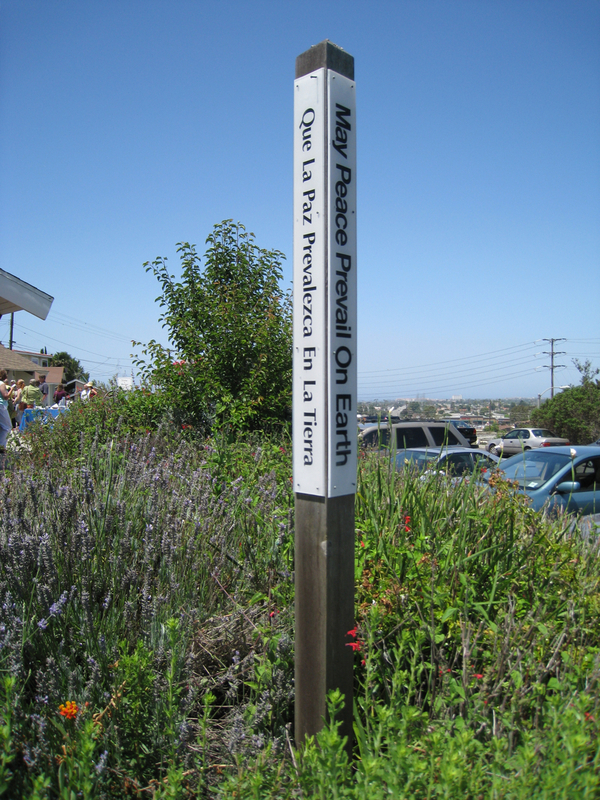 The congregation of Orange Coast UU Church voted to grant Rev. Karen Minister Emerita status for her dedicated and competent ministerial leadership. Interim Minister Reverend Ed Brock started in September 2011. In April 2013 OCUUC voted to call Reverend Sian Wiltshire as the next settled minister beginning in the summer of 2013. 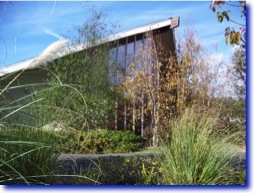 On February 1, 2012 the Board of Trustees held a special meeting to discuss a possible sale and purchase of buildings in order to move Orange Coast UU Church. Currently, we have a meager 6,000 sq ft. The proposed property has 20,000 square feet In addition, we would not be only dependent upon our own funds: the new property comes with rental income! When Karen Stoyanoff was called to be our minister, the settled search packet stated, “On-site parking is insufficient, but off-site parking is available nearby.” We still have this same issue and the off-site parking lease is unreliable. The last change to the physical structure of the church grounds was done in 1990. The building was completed via a loan from the Endowment. Since that time, we have not been able to reach over 250 members. Right at the time we completed the Gillan building we reached approximately 275 members. The people saw the space and then filled it. Build it and they will come. Since 1990, we have made no changes to the size of our facility. We have been stagnating in our membership, and this feeling has permeated the church from work parties to committees to volunteerism. Just the conversation about tripling our space has infused a sense excitement and hope. Looking at our history, each time we built something our membership grew. In 1960, the sanctuary and social hall were built. In 1964, the Boag classrooms were added. 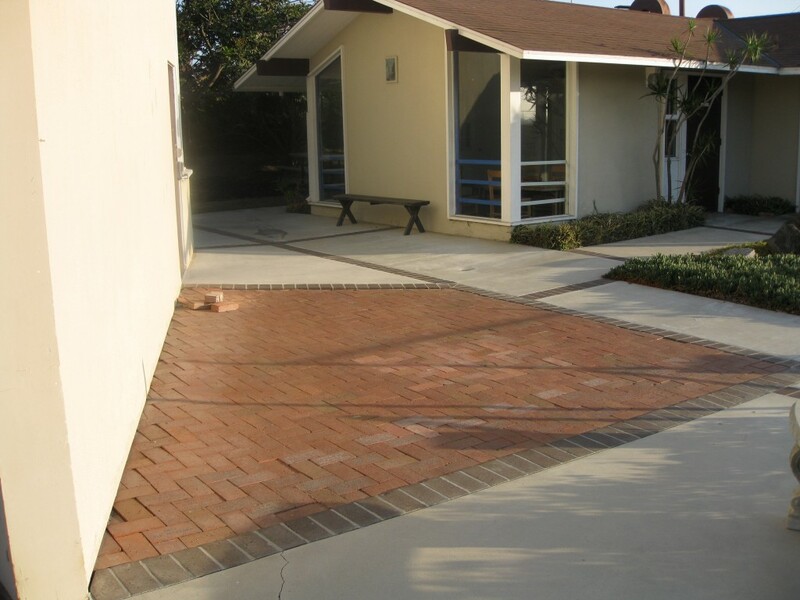 In 1975, simply paving the Chalice Patio increased membership by 25 members into 1977. In 1986, we expanded the sanctuary and membership rose by 50 members. In 1989, the kitchen and Gillan classrooms were added and we reached 275 members which was our highest since 1977. Since 1994, our membership has hovered around 200 members. 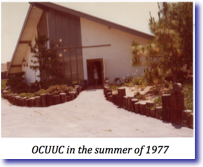 At a Congregational Meeting, OCUUC members voted to proceed with the sale of 1259 Victoria Street and the purchase of 2845 Mesa Verde Drive East. The process moved very quickly. We closed escrow on the Victoria Street property on August 17th and the Mesa Verde Drive East property around August 31st. We started packing boxes in late 2012. Orange Coast is On the Move! Orange Coast UU Church in Costa Mesa, CA was one of the very last churches built as a Universalist church. With help from Throop Memorial a site on the mesa above the Santa Ana River was procured and a building was completed in 1961. Over the years three expansions added RE, kitchen and sanctuary space. With- out much useable ground and parking though, the congregation had essentially maximized its use. Several years ago the congregation considered a merger with the Tapestry congregation in Mission Viejo but a mutually acceptable site convenient for both congregations could not be found. However, Orange Coast came to see that a move to a larger space with better parking would be acceptable to the congregation. Earlier this year a broker approached the church with a potential buyer of the property who would develop the site into residential properties. The broker also had a property located about three miles north of the current site that might suit the congregation’s current and future needs. The sale of the current property would fund the sale of the proposed property. The congregation visited the site and saw the possibilities of a site nearly three times as large as the current site with ample parking for Sunday mornings. It took over six months of negotiation but eventually a deal was made. 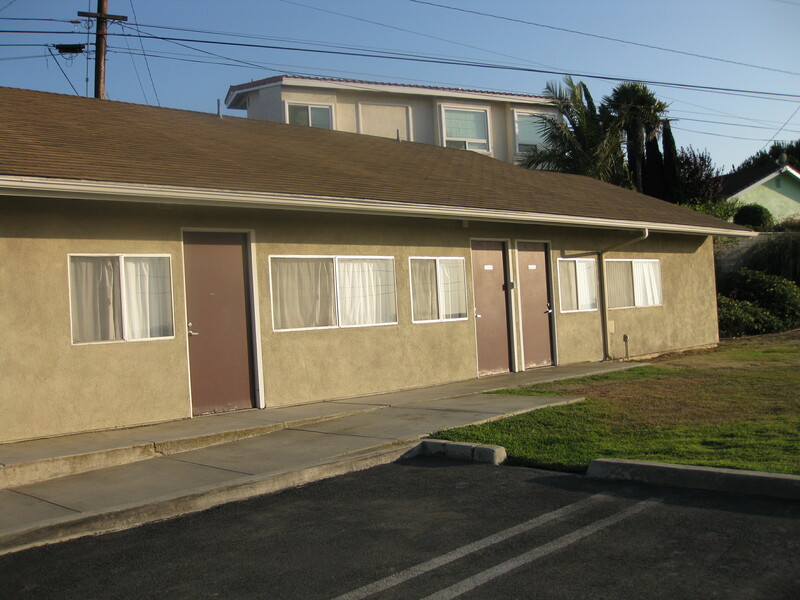 In August escrow closed on both the current site and the new site. will be converted to a single-story sanctuary seating approximately 230. The largest building will be converted from current office usage to a social hall/kitchen, staff offices and RE space. The third building is currently leased to tenants and will continue to be used for tenants until such time as a growing congregation needs the space. Tree-shaded parking, used in common with two other commercial buildings on the site, surrounds the entire building complex. Fortunately, the new owner of the current site is allowing the congregation to have until mid- January to make the move. This will allow time to complete a new social hall and RE space so that the congregation can begin meeting at the new location in January. Completion of the sanctuary, church offices and some revised landscaping will be completed in the spring. It is a very exciting time for the congregation as it completes this move and at the same time is in search for a new settled minister this com- ing year. It is an excitement rooted in abundant opportunities, possibilities and fulfillment of its mission of “Seeking truth, building just communities and caring for one another." On February 3rd we had the last regular services at our Victoria Street church. On February 9th, volunteers moved the last remaining items from the inside of the buildings at Victoria Street. Mesa Verde's Social Hall (aka temporary Sanctuary) was outfitted with our familiar chairs, choir risers, and grand piano. The RE classrooms were outfitted with familiar furniture, toys, and books. Interim Minister Reverend Ed Brock, our church administrator, and our music director settled into their offices. On February 10th, the church community walked in a sort ‘pilgrimage’ from the Victoria St. church location to the Mesa Verde location. We turned on our new phone number, (714) 55-OCUUC. held a brief service before walking to the location of their new church on Sunday February 10. During the intervening weeks, OCUUC waited for final approval to occupy our new building so several "bring your own chair" services were held at the Victoria Street building. March 3rd will be the first Sunday on which we have our first ‘regular’ two services at the Mesa Verde location.